PwC press room: UN ceremony seeks to speed up entry into force of Paris Climate Agreement. 2016 will need to see significant progress on nations’ ratification of the Paris Climate Agreement to enable the UN’s goal of the early entry into force of the international climate deal to be realized. The next step in the process of implementing the agreement takes place today, with the UN hosting more than 150 government leaders including 40 heads of state for the largest signing ceremony for an international deal, ever. In the meantime, significant discussion and debate on the accountability and compliance mechanisms – the legal end of the deal - is expected. The rules officially need to be finalised by 2018, and if entry into force does happen before this date, the deal will need the process in place sooner. "The mechanisms for accountability - transparency, review and compliance - are one of the key building blocks of the deal yet to be finalised. The mechanism is doubly relevant as robust accountability and compliance is not only fundamental to any international treaty, as it is the legally binding part of the climate Agreement, not the emissions cuts themselves that countries' have committed to." Business attention has already turned to understanding the policy, regulatory, and investment implications of the transition ahead implied by the deal. In particular on actioning a range of commitments to emissions reductions made in the run up to the deal in December by businesses and cities. The historic climate agreement will only officially enter into force once 55 countries representing 55% of global emissions have ratified the deal. In practice, this means that countries with high emissions and a high number of smaller countries are needed for the deal to come into force. So far only a handful of nations, largely small island states have ratified the deal. The ratification process in each country is an opportunity to engage a wide cross section of policy makers, public opinion and legislators around each country’s climate goals. PwC’s Low Carbon Economy Index which estimates the pace of the low carbon transition implied by national targets and compares this with their business as usual scenario, found that on average countries will need to reduce emissions per million dollars of GDP, or carbon intensity, by 3% every year to hit their targets. This is more than double the business as usual rate of just 1.3%. 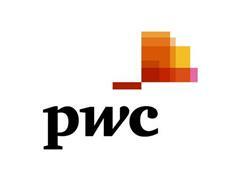 Analysis by PwC UK for The World Business Council for Sustainable Development’s Low Carbon Technology Partnerships initiative released before the Paris Climate Summit showed the significant impact that business could have if it achieved low carbon economic growth. If fully achieved, business action to reduce emissions, could cut emissions by around 25% from business as usual and get society 65% of the way to a 2 degrees emissions pathway. This would channel $5-10 trillion of investment toward low carbon sectors of the economy and support 20-45 million person-years of employment.